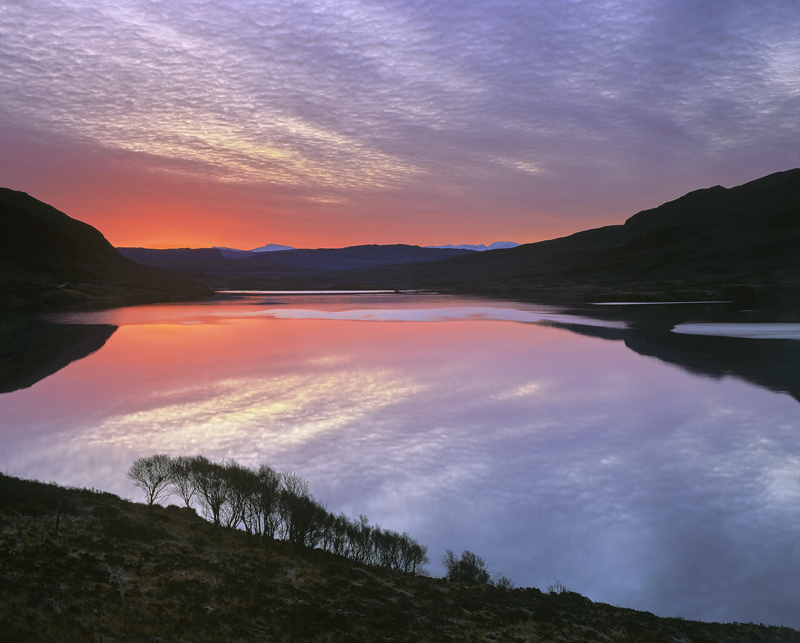 A glorious winter sunrise materialised over Loch Lurgainn which was unusually still. It was also rather unexpected as although I had gone out early in the hope that something would happen I didn't exactly race over towards my chosen venue as it seemed distinctly unpromising. Scotland is nothing if not full of surprises and I found myself having to quickly adapt to the situation. The blood red sun splash and the cyan of twilight combine beautifully, but I was very pleased to find these silhouetted bushes marching over the brow of the hill to add a little gravitas to the foreground. Despite better skies evolving this is my favourite of the bunch I took.